Today EURUSD will be under the influence of some news factors such as: German Industrial Production m/m, the retails PMI and Crude Oil Inventories therefore the pair would act more volatile. It seems that bulls are getting tired of pushing the price higher although there is slight chance that the pair reaches above the previous high at 1.14383. On the other side, if the pair breaks the monthly pivot point at 1.12030 it shows that the upward trend for this pattern has finished and it will be time for the bearish pattern. 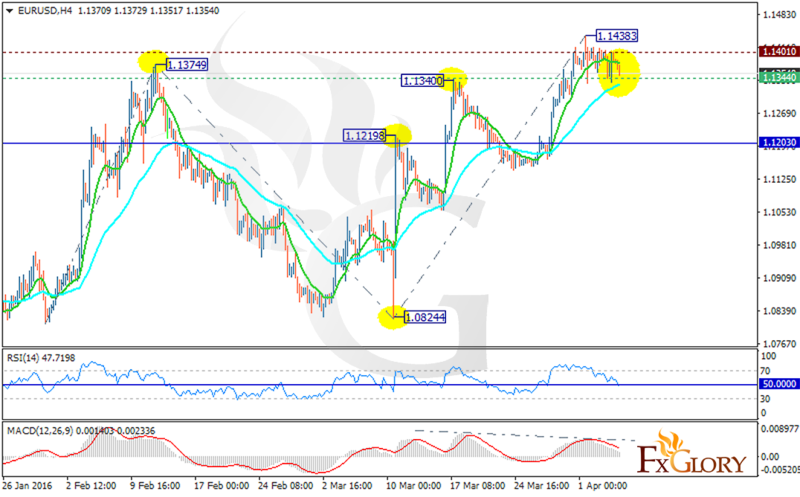 EURUSD is finding support at 1.1344 with resistance at 1.14010. The MACD indicator is in positive territory showing the price correction and the RSI is at 50 level. There is no clear signal for EURUSD for traders but it might break the resistance and reach 1.1550 otherwise it might break the monthly pivot point and target 1.0461.